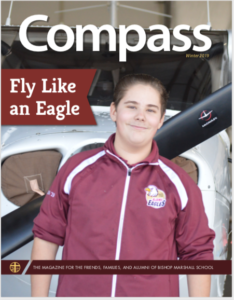 The technology program at Bishop Marshall School continues to expand to keep up with the best technology for our educational opportunities. Every grade from Pre-K – 8th is outfitted with state-of-the-art classroom technology ranging from SmartBoard Technology to e-beams to Apple iPad/TV. 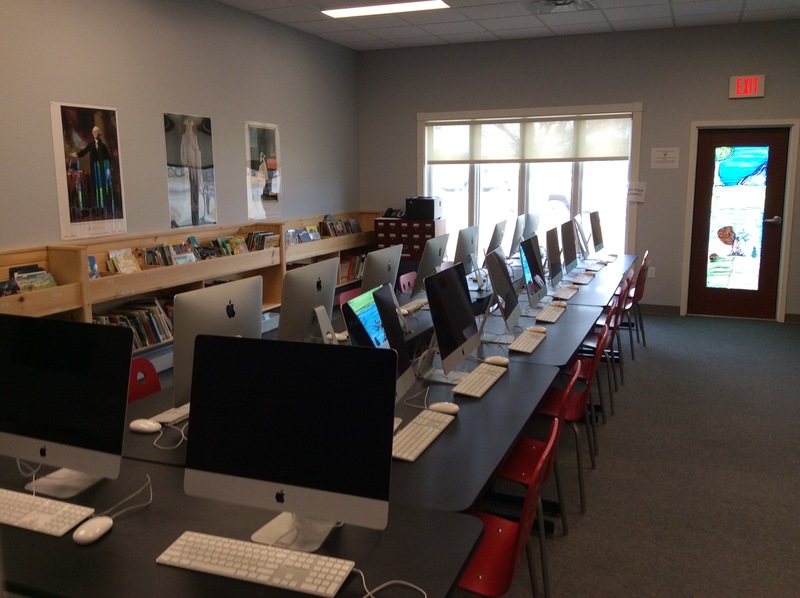 In addition, our new technology lab features 18 Apple iMac’s. This space is used throughout the day by all classes as teachers look to use technology to augment and enhance their current lessons. We have taken several precautions to ensure the safety of our students who utilize the Internet and we are incredibly proud of the responsibility shown by our students. There is a genuine appreciation for this incredible technology and it is something our students do not take for granted. Great care is taken by each teacher to guide the students as they navigate these new opportunities. If you have not already done so, please stop by to check out our lab in action! With state-of-the-art Apple iMac computers, our students take their twenty-first century learning to a whole new level! 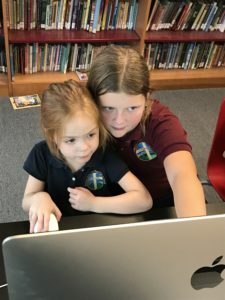 Sixth, seventh, and eighth grade students use the multi-media lab and the Sally Ride EarthKam program to communicate with the International Space Station and take photos of various landforms around the world. Using the lab, students are introduced to concepts like telemetry, orbiting windows, weather forecasting, latitude, longitude and altitude. They are challenged to scan projected orbits, to identify obstacles to those orbits, and to select the correct orbit for the region in which they were interested. Our foreign language students have the opportunity to utilize the technology to communicate with students from both France and Canada, enhancing their language skills. We are in the beginning stages of learning more about FaceTime opportunities with other schools as well. There are also several opportunities for collaborative learning within the school using our new technology. 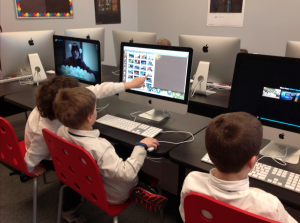 Seventh and eighth graders have partnered with the fourth graders to create BJAMS movie trailers using iMovie technology. Students created interview questions, focusing on different parts of the school to showcase all the great people and events of the school. Third grade recently has created informative planet brochures to augment their learning relative to the solar system. Each student focused on a planet, and created a travel brochure with facts and photos. Students in third grade worked on much, much more in addition to science in the lab. It is also a big hit to utilize different multiplication sites, incorporating a little friendly competition in helping to memorize facts. Most students agree, it’s a nice change of pace from the fact sheets they frequently use in class! 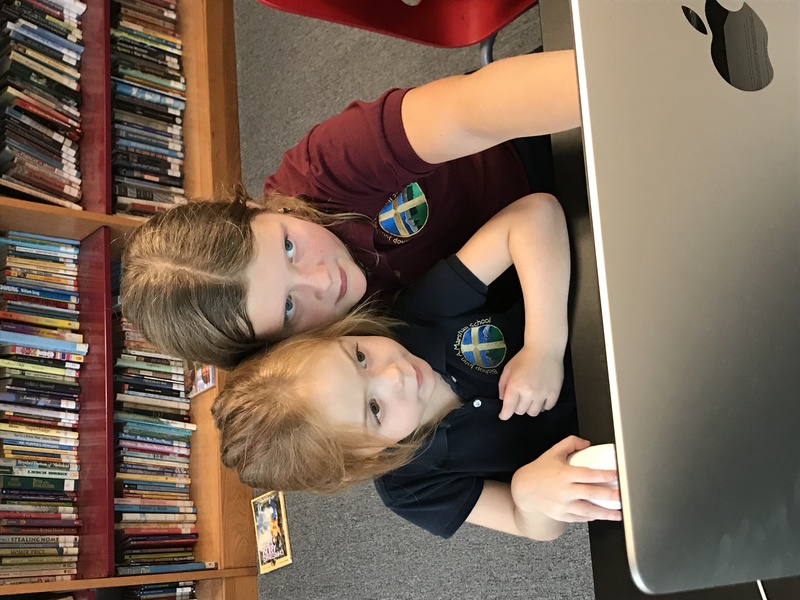 Fourth graders have enjoyed learning about programming by participating in Hour of Code, an introduction to computer programming. Students really liked learning what goes into the creation of apps – on all devices. Learning how they work was both interesting and helped her learn. Fourth and fifth grade also enjoyed creating Prezis, which is a presentation tool. 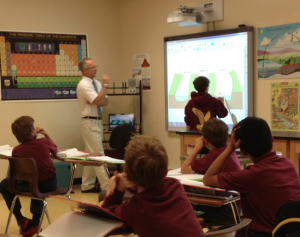 This allows students to get creative by using a visual tool to augment their research and reports. Podcasts are also a big hit in fourth and fifth grade. Students worked on creating podcasts to help them learn about different regions in both Vermont and the United States. Again, this is an alternative to traditional learning for both the creators of the podcasts and the listeners!